In need of some woodwork? Chances are you’ll want to hire a Santa Monica, CA carpenter. Carpenters work with all types of wood and can specialize in many different areas, including framing, finishing and custom-made furniture. Make sure you choose the right Santa Monica carpenter for your job by asking plenty of questions, viewing their past work and reading reviews. 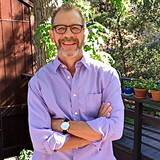 After 25 years as a General Contractor in Upstate N.Y., specializing in residential restoration and remodeling, I moved to California to be near my family. Since being here, I have been providing affordable custom cabinetry, finish carpentry and design ideas to Designers, Contractors and Homeowners. Woodharmonic is a cabinet shop focused on handcrafting custom cabinetry and built-in furniture from locally sourced wood. We specialize in kitchen cabinets, built-in wall units, bookcases and media centers. Our mission is to turn dreams of furnishing spaces with high end woodwork into reality. We love helping our creative clients with their fine carpentry needs, from consultation to design, project management and installation, we provide the expertise that is required to deliver on time, every time. If you’re in Los Angeles, California looking for a reputable company that specializes in both carpentry and installation services, then you should contact us here at All Level Installations. Whether you’re looking for installation assistance with hardware, cabinet, windows, frames, doors or millwork, we can help you out. We cater to both commercial and residential clients. If you want to work with a trustworthy family-run business, that’s us. We’re very serious about our carpentry and installation work and are fully committed to making our valued customers happy. We have a very wide range of specialties here. People looking for finish carpentry, door installation and cabinet installation work, for example, all regularly depend on the seasoned and experienced professionals on our staff. Our company owner is equipped with 13 years carpentry background. He finished an apprenticeship training and was even given a coveted Journeyman certificate. As a result, our owner is more than well-versed in the world of carpentry and all that it entails. If you want to receive quality carpentry and installation service from a reliable Los Angeles company that’s headed by a true pro, we’re here for you at All Level Installations. We work hard every day of the week to provide our customers with the finest assistance with door repair, hardware installation, hardware repair, window repair, window installation, cabinet repair, lock installation, cabinet installation, door repair and beyond. When you need any of these specific services, there’s no more reliable company in the area. 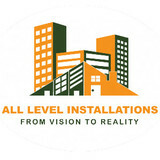 All Level Installations is a name that you can honestly trust. Fine craftsmanship is a major strength here at All Level Installations. We do whatever is necessary to provide our customers with the most meticulous craftsmanship possible. We always want our customers to be 100 percent happy with our work. Voted Best of Houzz Service-2017! I learned how to use a saw the same day I learned how to walk. After my dad first taught me how to saw wood and nail it together, there was no stopping me. I would always help him during his weekend around-the-house projects. What I did not learn from my father I learned while I was apprenticing for a contractor while in high school. I built skateboard ramps at 12, worked on houses at 16, and now build beds and other furniture at 23. I have years of experience and continue learning more on every project I work on. I look forward to building something for you. My Promise: I will only work with the best materials available and provide a 1 year guarantee on all labor. I never compromise quality for time and give my clients realistic schedules that accommodate their lives. I strive for honest customer service throughout every project. 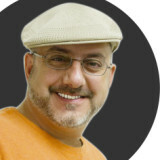 I am a small business that focuses on carpentry, handyman services, home repairs and improvements. I always strive to provide my clients with the highest level of service and satisfaction in the form of their desired and envisioned finish product. No matter what size the project it is important that it is done right and to a high quality standard. I build a lot of wood decks and fences. True American Grain Reclaimed Wood is Orange County's original reclaimed vintage wood store featuring the largest supply of reclaimed wood in Orange County, Our lumber store, beam and mantel shop, and showroom are fully open to the public. We offer thousands of square feet of reclaimed boards/material as well as reclaimed flooring, beams, furniture, mantles, custom milling, and an excellent DIY resource. Visit us in Laguna Niguel or call us with your reclaimed wood questions at (949) 353-6137. 27324 Camino Capistrano Suite 160 Laguna Niguel, CA 92677 Regular Shop Hours: Mon - Fri: 8AM- 5:30PM Saturday: 8AM - 3:30PM Sunday: Closed We are also the makers of RECwood Planks, which are 100% authentic American reclaimed wood planks milled to size for accent walls, furniture wrapping, and much more! All of our products use recycled, already established reclaimed lumber instead of depleting more of our current resources. What we do is locate & deconstruct structurally unsound, unusable old American wood structures, then reuse the vintage wood to create all of our wood products (i.e. custom designed furniture, doors, flooring, siding, beams etc.). Because most of the structures can be dated back to the pre-1900’s era, every one of our products holds a piece of American history. JP Weaver Company, is the leader in architectural ornamental mouldings since 1914. A premier international source for ornamental plaster cornice, crown, ceiling medallions, composition decorative molding and flexible resin. They specialize in unique interior moulding design and welcome custom projects. Ornamental plaster moulding specialists and expert in plaster restoration. Restorers of many of the formal chambers of the Sacramento State Capitol Building and local Los Angeles area movie theaters and historic homes. Fabricated interior carved moldings for the infamous Hearst Castle and several of the world renowned Newport Mansions. Well known among the motion picture set designers as the go-to source for molding detail of all architectural periods. Master Built Finish Carpentry emphasizes customer service. We offer specialized custom millwork to your specifications. Customer satisfaction is our top priority. We are a premier Finish Carpentry Contractor in Southern California. Our offices and showroom are located in Santa Ana, CA (Orange County). Our company services Orange County, Riverside County, San Bernardino County, and parts of Los Angeles County. We are licensed by the State of California under the C-6 (Cabinet, Millwork and Finish Carpentry) and C-15 (Flooring and Floor Covering) Classifications. As a finish carpentry contractor, we specialize in all interior woodworking focusing on custom staircases and railings from framing to finish, wood flooring, interior moulding such as crown moulding and baseboards, custom mantels and ceilings, and the installation of doors, both interior and entry door systems. We pride ourselves in our craftsmanship, our ethical conduct, and our ability to delight our clients. As invited guests in your home, we treat both you and your living space with respect. Personal attention, Design and Build Independent contractor, backed by association of contractors with high standards and decades of experience., masters of specialty products, materials, and techniques. CLS Windows & Doors is the premier handcrafted artisan and installer of custom doors and windows for luxury homes in Southern California. We are a Manufacturer of Handcrafted High End Custom Doors, Panoramic Doors and Windows. We work closely with designers, architects, contractors and the estate principals to develop a unique and distinctive fusion to the design and ambiance of your estate. CLS Windows & Doors is redefining comfort and lifestyle living for luxury estates in Wine Country, waterfronts, mountain and ski resorts and equestrian and resort havens. Our business is about the view, lifestyle and superb quality you desire.